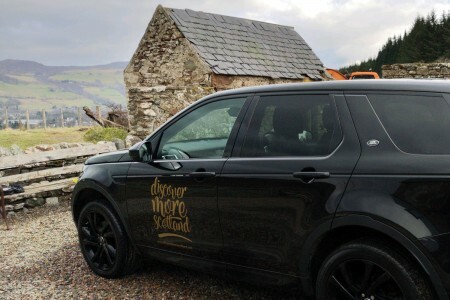 Discover More Scotland specialises in creating Bespoke Tours for parties of up to four people in their luxurious top-of-the-range Land Rover Discovery Sport SUV. They work with you to plan a tour which will encompass your desires. It is sometimes nice to get away from the normal tourist routes – these guys can do that and more. 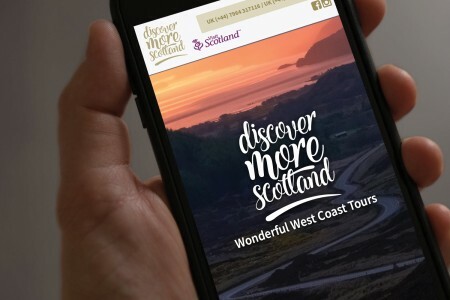 If you wish to visit ancestral locations or maybe research Clan history; if you are interested in Scottish Literature, or archaeological sites, golf, whisky – whatever your interest they can provide a varied and exciting tour designed exclusively for you! 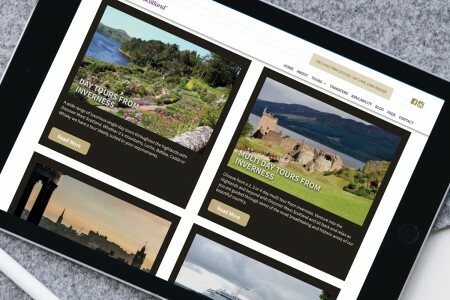 Discover More offers an unparalleled service to all their clients; from the very first contact they endeavour to create the ultimate Scottish experience, maintaining personal contact as required to plan the holiday of a lifetime for you – one you'll remember for many years to come! 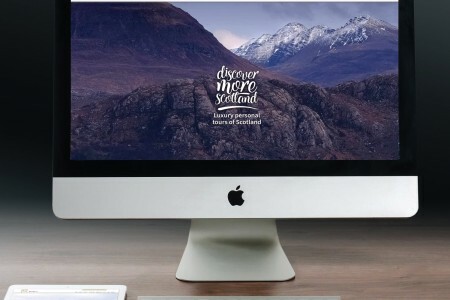 2bcreative and Aurora Studio built them a website to be proud off. We also gave them some marketing materials and some business cards to get them up and running.